We also have much larger, and a far bigger adjacent campsite that we book. This includes Beach front sites, right on the beach. There are 2 large communal ablution blocks servicing the Main Camp. The one nearest the Barracas has a dedicated men's wash room, with 3 basins and a urinal. There is a dedicated ladies wash room that has 3 basins and a dedicated ladies shower. The other ablution block is situated near the restaurant and tents. The men's side has a urinal, 2 wash basins, 2 toilets, and 2 showers. The ladies side has 2 wash basins, 3 toilets and 2 showers. All showers have both hot and cold water. Please remember you bring your towels and toiletries. 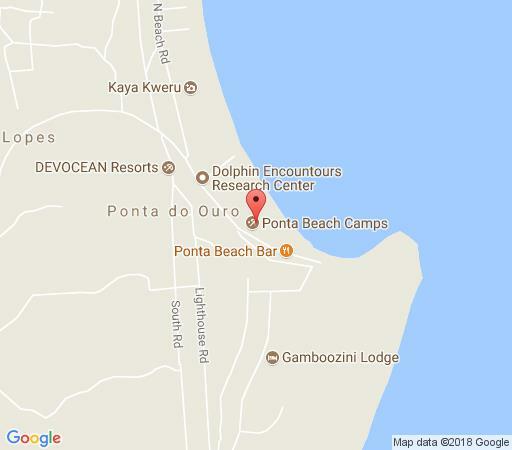 For those that don't want the hassle of cooking, "Barraca de Ponta", our popular Mozambique Restaurant, is situated in the Main Camp, just 30 meters away. It offers very affordable Breakfast, and Full Board meal options. It is open from 7.00 am to 9.00 pm, depending on seasonality. Pre-paid discounted meal voucher Specials are usually available. The flexibility of the meal voucher system allows you the best of both worlds - to eat out somewhere else if you want to, or have you own braai when you feel like it. If you prefer to braai (BBQ) or cook your own food, the self-catering facilities consists of a large dining area and kitchen. Fridge Hire: For those that would prefer their own private fridges, there are a limited number of fridge / freezer combinations for hire, so pre - booking is essential. They are approximately 220 litre capacity. There is a large braai area, with 2 communal braais, adjoining the dining area. 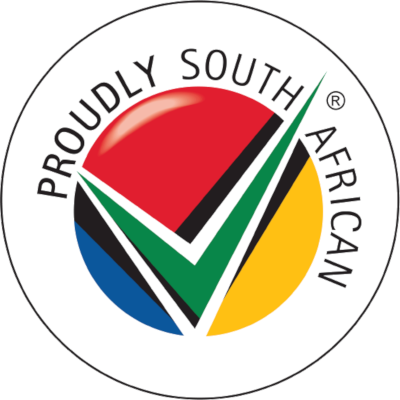 Braai grids are supplied. This is for the sole use of the Main Camp residents and supplied free of charge. If you intend to braai, bring your own charcoal and firelighters. Both wood (soft - not good Braai wood) and charcoal is available to buy at Ponta, along the road, or in the market. Special rates for children are available , please inquire for rates 1 extra person can be added per site however Additional persons are required to pay the per person supplement of R 130 Bigger tents, trailers, extra tents may be required to pay additional charges. Please inquire for the Rate as this may vary. The Main Camp has a limited number of campsites on its property, enclosed by a security fence. At night the area is patrolled by our security guards. The sites are approximately 5m x 5m in area, and covered with a shade cloth gazebo Each site has a plug point, and outside overhead light. Maximum persons occupying each site is limited to 4. Additional persons are required to pay the per person supplement. Bigger tents, trailers, extra tents may be required to pay additional charges. Please confirm camp equipment when booking. Guests using these campsites can make use of all the Main Camp facilities - e.g. ablutions, kitchen facilities, fridge hire, freezers, etc. This is our second stay at Ponta and I must admit I am disappointed again this year. We paid a lot of money and although we understand that loadshedding can happen the owner made very little effort for the guest staying there to insure that this did not affect their stay. We received no warning of this before hand and the discomfort of not having water and power from time to time was unpleasant. No preparation was made for us as guests, and we paid a lot of money to stay there. No up keeping of the facilities are done so it looks terrible and dirty. And all around I really don't think it is value for money.